Looking to sell your products in India? List your products, manage orders and price updates alongside your other sales channels within Linnworks to further expand your profits. To use the Elala integration, you must first install it from within Linnworks.net. Locate Elala on the list, and click Integrate. Click on the link at the bottom to review the Elala Connector’s Terms and Conditions first, then click Accept to move onto the next step of the integration. Enter your Elala account name to start the actual integration. 2. On the Dashboard, on the right-hand side at the top, your Seller ID is displayed. 3. Please use this Seller ID in API Settings. 2. You will receive an activation link in your email. 3. When you open that link, your seller account is activated on Elala. 4. Use your registered username and password in API Settings. 3)	Locate the Elala entry, and click the Configuration button. 6)	The Test button allows you to confirm there are no errors preventing Linnworks and Elala communicating. Contact EBG Support if Test Reports any errors. 4)	In the Inventory section, the first entry is Update Inventory. If this is disabled, then Linnworks will not tell the listings on the Elala marketplace when Available Stock Levels change in Linnworks. If enabled, then Linnworks will provide these updates. 7)	Max Listed allows you to filter the highest quantity that Linnworks can/will send to the listings on Elala. If Max Listed is set to 50, and your Available Stock moves from 30 to 60, Linnworks can only send 50, and this will not change until the Available Stock level drops below 50. 4)	In the Listings section, the information reflects the information Linnworks currently has about your listed items on the Elala marketplace. This section reflects activities affecting the Linnworks Order Sync on your Elala channel integration. Linnworks downloads orders from Elala with the status Shipping in Progress. Dispatch Notes, when enabled, allows Linnworks to send information about orders that have been Processed in Linnworks. Orders that are Processed in Linnworks are updated to the status Manifested on ELALA.IN. The Order Sync Date reflects the date and time of the last successful order download and update for the Elala channel integration. These settings are used to enable Linnworks and your Elala account to connect, and are covered in Step 1. Click Save at the bottom of this window to apply any changes. 4)	Locate and click the Location Mapping button. 5)	In the Location Mapping window, the Order Download options are available. This is initially set as Default, but can be changed. Click on the drop-down list and select which inventory/fulfilment location will initially receive the orders from this Elala integration. 6)	Under Inventory Sync Locations, you control which Linnworks Inventory locations are used to calculate the Available Stock values for your ELALA.IN listings. 8)	If you have only a Default location, this can be ignored and you can leave Default enabled. 9)	If you have multiple Inventory Locations, you can set locations (Slide switch to the left) that you don’t want to be included in the stock numbers on the listings. Linnworks.net uses the Mapping Tool to ensure that it knows which SKUs in its inventory are connected to which listings on ELALA.IN. As such, you should ensure that all of your listings are mapped correctly, or stock levels and prices will not update correctly, and orders may not be picked accurately. This screen is divided into two sections. Displayed on the left are the listings Linnworks is aware of on your Elala channel. If these are not correct, or a change is missing, you should see the Download Listings button in the Listings section of the Channel Configuration. On the right is a Linnworks Inventory Search Tool. 1)	Click the Settings button (in the top left hand corner) with a gear/cog on it. 2)	Click on the listing to highlight and select it. 4)	Use Search to locate the Inventory item that requires a Price Change on Elala. 8)	Enter the Source as Elala.in. 9)	Enter the Sub Source as the name of the Elala channel. 12) If there is already an entry present for the correct Source and Sub Source, double click the Price to edit it, and then press Enter. 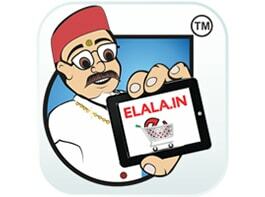 3)	Locate the Elala entry, and click the Payment Method button. 4)	This opens the Edit Payment Methods window. The list will initially be blank. 5)	When mapped, Linnworks will ensure the orders it downloads from Elala reflect correctly which payment methods/providers have been used on the site. 1. Select the Channel Payment Method value, and select one of the Payment Methods from Elala that show in the drop-down list. 2. Then click on the Linnworks Payment Method drop-down list. Select the appropriate Linnworks Payment Method that should be used in Linnworks orders when they are downloaded, including the above payment method. 3. Click Add to save the mapping and return to the list. 4. Repeat this for all of the Elala payment methods you wish to use. The next step is to map your ELALA.IN Shipping services to Postal Services in Linnworks, so orders don’t need to have their Postal Service set manually. Initially, all are mapped to Default. 3)	Locate the Elala entry, and click the Shipping Mapping button (see above). 5)	To add a new entry for one of your Elala shipping services, click Create New. 1. For Channel Service Name, enter the name of the Shipping Service in Elala. 2. In Channel Service Tag, enter the Tag Value used for the service in Elala. 3. In the Linnworks Postal Service drop-down list, select the name of the Linnworks Postal Service that should be used for orders imported from Elala with the Shipping Service to dispatch them correctly. 4. Click the Add button to save the mapping, and display it in the Edit Shipping Allocation screen. 5. Repeat this for all the other Elala Shipping methods you wish to use. How do I find the Website Path and API Key for setting up the channel integration? Please refer to step one on the guide on this page. Which type of orders are downloaded into Linnworks? Only orders with the status of Confirmed are downloaded from channel to Linnworks. Which Payment methods are downloaded to Linnworks for orders from the channel? Only Paid status is provided. After processing an order in Linnworks, what is the order status changed to on the channel? The order status is set to Manifested. Do I have to assign the tracking number to the order before processing it, if I want to upload the tracking number to the channel? Yes - Orders in Linnworks cannot be edited after processing, and therefore the Tracking number must be in place before the order is processed if you want the channel integration to pass it. Do I need to define the shipping service for the orders in Linnworks before processing it? Yes. As orders in Linnworks cannot be updated after the orders are processed, you must define the Shipping Service before marking the order as processed. If we want to change the price in Linnworks, and have the update synchronized by the channel integration, where should we make the update? In Linnworks.net, select the Inventory tab, and the My Inventory option. If the Source and SubSource is already present under Product Pricing by Channel, then click on the Price to edit it. Enter the correct Source and Subsource for the Channel Integration. Enter the correct price to be used. If a price is changed on the channel, can we track this in Linnworks? Yes, this will show up in the Audit Trail. If there is a problem with a price update on the channel integration, can Errors be checked in Linnworks? Yes. In Linnworks.net, select Settings, and then Automation Log. Does this channel integration support stock level updates to linked listings on the channel from Linnworks? Yes, it can automatically update the Available Stock Level on listings via the Channel Integration. Is there a limitation on which Linnworks stock locations are available for this channel integration?? Stock you can define in any location in Linnworks. You can select which Linnworks locations will be used to calculate Available Stock. This can be found under edit channel location mapping. Enable the locations holding stock that are available for that channel. Can we define a Minimum stock level in the selected Channel from the channel integration in Linnworks? Yes, you can define a minimum level that will signal sending 0 to a listing early. If there is a problem with a stock update from this channel integration, can we check for errors in Linnworks? Yes, the Automation Logs can be found under Settings in Linnworks.